SLR vs. DSLR: Picture Your Camera? Taking pictures remain an integral part of the human experience to this very day, although of course the devices used have advanced technologically by leaps and bounds. DSLRs are the most common tools of choice nowadays, although many still remain loyal to SLRs. What makes the two types of cameras differ? That is what this comparison article aims to reveal. SLRs or Single Lens Reflex cameras are cameras that provide excellent picture quality by way of an innovative solution. 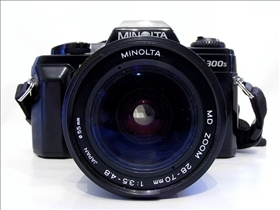 Cameras that rely on older technology had two paths of light from a single target, with one leading to the lens and the other leading to the viewfinder. This resulted in photos that are slightly different from the images that you originally you saw through the viewfinder. SLRs sought to remedy this by including a mechanism that allows you to see the image as it appears through the lens. When the shutter is pressed, the mechanism allows the light to reach the film. DSLRs are simply digital versions of SLRs. Instead of using film to store the image, memory cards are used to store the image data. Many DSLRs have the same features as SLRs, along with a few technological advancements. The main difference between the two types of cameras is what makes many people opt for SLRs instead of DSLRs: cost. While DSLRs have come down in price–and continue to do so every year–they are still a lot more expensive than SLRs. An entry model DSLR starts at around $450, and that doesn't include the price of the lens. Adding a basic lens kit will set you back an additional $100, and you can expect to pay around $500 more for a higher-quality zoom lens kit. DSLRs also tend to be quite big and bulky. If you want a camera that you can easily carry with you wherever you go, and you aren't too concerned about having plenty of storage space, an SLR would probably be the better option. While there are many newer DSLR models that are a bit less bulky, adding a lens still makes them bigger than the typical SLR. Zoom range is another important consideration when making the choice between an SLR and a DSLR. 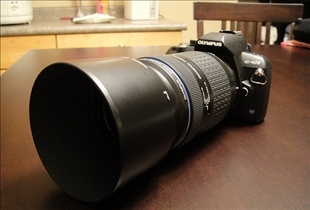 Many SLRs on the market today feature "mega-zoom" capability, which provide for 10x or 12x zoom options. These allow you to take wide angle as well as telephoto shots. In order to get similar capability in a DSLR, you will either have to buy a mega-zoom lens at a cost of about $600, or buy a wide-angle zoom and a telephoto lens for about $800. Which camera would you rather take on vacation? NTSC vs. PAL: What's the difference? Apple TV vs. Google TV: Your favorite for TV? Opteron vs. Phenom: Which is better? Canon vs. Kodak: Which is better for me?